Xtensio is a collaborative workspace that makes it easy to develop and implement effective business strategies. Define your approach with smart digital documents and presentations. Your collateral quickly and easily adapts as your business evolves. Whether you’re identifying new challenges and objectives, digging into your market, outlining your vision or delivering your strategy, Xtensio is where your team's work flows. Build anything from internal strategy exercises and market research docs to presentations and reports with the ease of a web builder. Then quickly and easily reuse and update content throughout different phases of implementing your strategy. Work as a team across departments and management. Loop in partners and stakeholders as guests. Everyone is always up-to-date and your inbox is clutter free. With one click, your folio turns into a full-screen digital slideshow that easily engages your audience. Easily scroll down through slides to present a pitch or report from anywhere. Xtensio for Business offers a private and branded workspace for connecting your product, marketing, and management teams with the collateral everyone needs to deliver innovative and effective growth strategies for your organization. Building your strategic framework is simple. Save any folio as a custom template for your team to reuse again and again. You can even publish it on your website to build your brand. 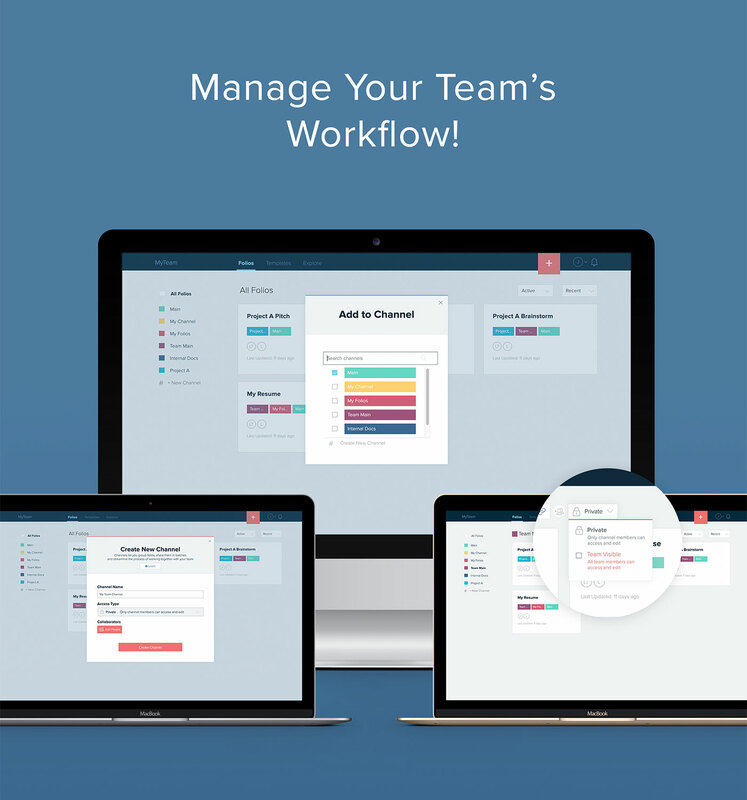 Centralize your strategic efforts and keep everything organized with channels — project, task, strategic exercise, etc. Customize and share a channel link to showcase a group of folios and add team members to collaboration channels so everyone has access to the collateral they need. Keep track of your team's workflow with in-app notifications and track engagement with folio stats. You'll be able to adjust for efficiency and identify new opportunities. 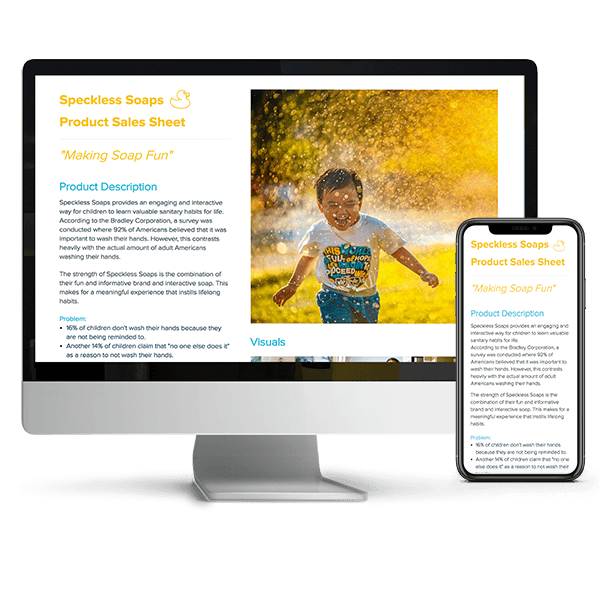 Utilize our templates and resources for different stages of defining and implementing your business strategy — from uncovering your unique value proposition and exploring your product-market fit to creating proposals and pitches or internal strategy exercises and reports. Remember, you can always start with a blank slate to build anything you need. I first started using to document our personas. It has saved me TONS of time from creating one from scratch in Illustrator (it’s what I usually do). Really enjoying using it and I’m getting really great feedback from my team. There’s a lot of stuff out there, but I would rather use the best there is. I use Xtensio, because it’s the best there is – elegant, competent and adaptable. Xtensio is graphical, visually impactful, intuitive, and fully customizable – with no need for a learning curve. As soon as you see it and start working on it, you can figure out how to change all the sections to suit your needs.